The Christmas season may be busy, but it also provides an array of options for parents to spend time with their children and create memories together. With the hustle and bustle that accompanies Christmas, though, it can be easy to let those opportunities pass by unnoticed. Do not let that happen to you this year. 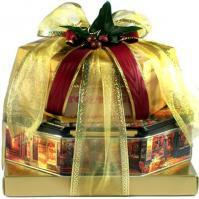 Rather, seize the opportunities to make this Christmas a memorable one for you and your children. 1. Turn decorating into a team effort. Rather than attempting to do all the decorating by yourself, recruit the help of your child. This can be a fun and relaxing experience to enjoy together. 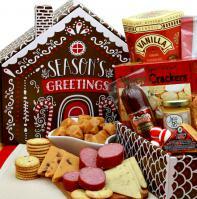 Do not fret if your child does not hang all the decorations perfectly; just enjoy the time spent on a shared project. 2. Plan special activities to do together. Take a few days of vacation either in the days leading up to or following Christmas Day and invest that time in shared activities with your child. Depending on the options available in your region, you can try activities such as ice skating, building a snow fort, hiking on a nearby trail, camping overnight, or going for a sleigh ride. 3. Work together on a charitable cause. Whether you volunteer together at a local charity, fill a shoe box with gifts for Operation Christmas Child, or help out an elderly neighbor, the investment of time and energy will be both meaningful and memorable. Converting your charitable activity into an annual event can reap benefits for years to come as it shapes your child's character by teaching the values of generosity and altruism. 4. Allow your children to participate in a Christmas production. Even if your child has no aspirations to be a professional performer, he or she can still enjoy taking part in a community or church Christmas presentation. Make a few calls or check the newspaper for opportunities in your area. Make sure you start early, though, as rehearsals for such presentations often start as early as September or October. 5. Make the obligatory trip to visit Santa at the mall. If your child is young enough to enjoy visiting Santa, then find out when and where you can find the jolly old elf. To capture the moment, get a photo of your child sitting on Santa's lap. Your son or daughter is sure to talk about the experience for the next several days, possibly even weeks. Do not allow the busyness of Christmas to rob you of valuable time with your child. The years pass by quickly, so take advantage of opportunities to create memories together while he or she is young. 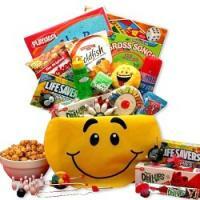 Adorable Gift Baskets offers a huge variety of gift baskets and unique gifts for kids of all ages. 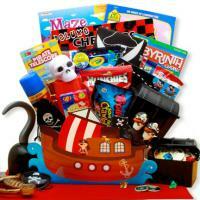 Themes include Christmas, Birthday, Get Well, Easter, Halloween and all occasions. 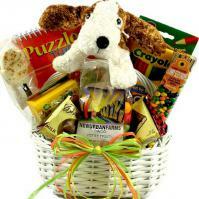 Click here to view adorable gift baskets for children.